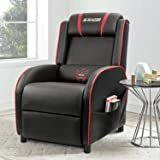 Sold by: Global Goods Co.
Save an extra $5.22 when you apply this coupon. $5.22 extra savings coupon applied at checkout. Sold by PWR+ and ships from Amazon Fulfillment. 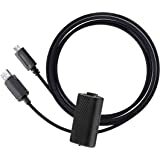 Sold by T-Power USA and ships from Amazon Fulfillment. Welcome to the world of interactive audio. 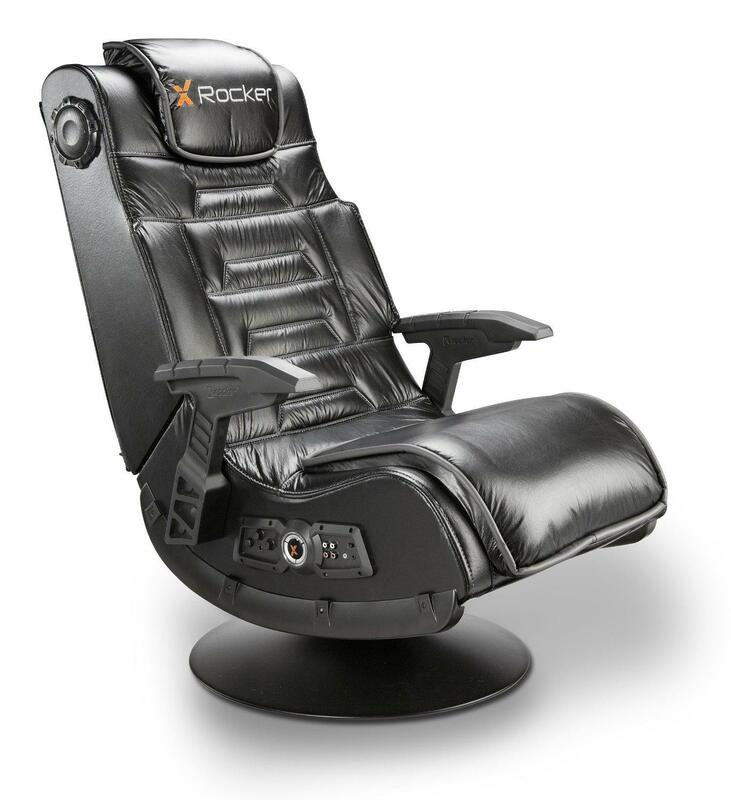 With the 51396 X Rocker Pro Series Wireless Game Chair you can now not only hear your music, but actually feel it. Whether you are listening to music, watching a movie or playing a game, you will become a part of the excitement. 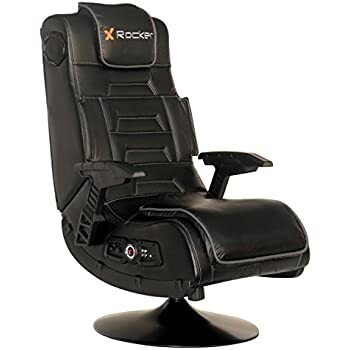 This black X Rocker gaming chair has two speakers hidden in the headrest and a subwoofer that uses Ace Bayou's innovative Audio Force Modulation Technology. 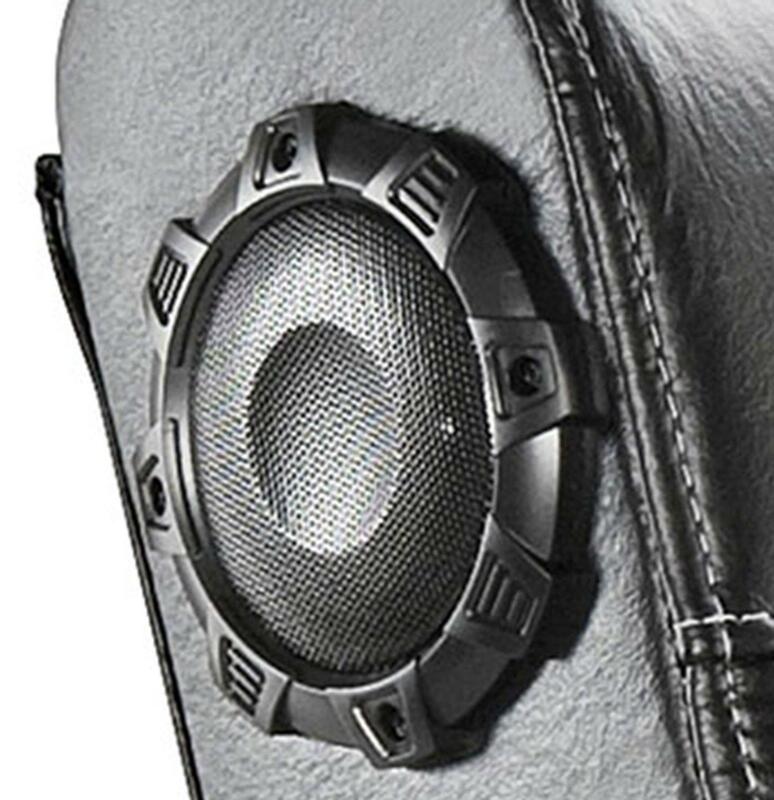 AFM incorporates speakers and ported power subwoofers into the open space within the X Rocker to magnify sound quality and intensify your experience. 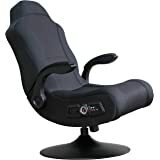 This pedestal 2.1 wireless audio gaming chair base elevates you and allows you to tilt and swivel for hours of comfort. Its gun-stock arms also provide support and an awesome look. The 51396 X Rocker Pro Series Wireless Game Chair is brought to you by Ace Bayou. The product is sold as is. I had to contact customer support about a few things and their response time is seriously lacking. 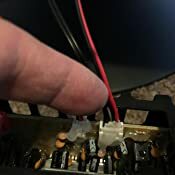 FIRST ISSUE: It shutting off. Come to find out, if there is no sound, the wireless feature assumes that you're not playing and will shut off. So if you pause the game and walk away it will shut off and you will hear the chair make static sounds because it isn't receiving a signal. 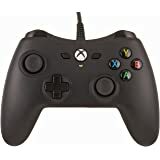 Son love it for his xbox one.. however, before you buy this. 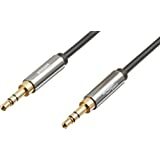 there is another product you'll need because Xbox One doesn't have RCA jack. 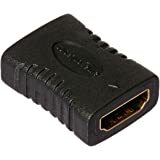 You'll need to buy a 38.00 HDMI Audio Extractor. They dont tell you this in the description and that is wrong not to mention that.. But other than that it sounds great and my son now has his Xbox One, Nintendo Switch, TV, and iPhone hooked up to it. 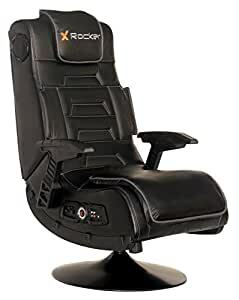 3.0 out of 5 starsThis chair is NOT comfortable!! 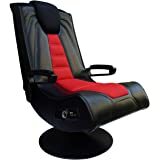 This chair is far from comfortable, and anyone that says it is are lying to themselves. 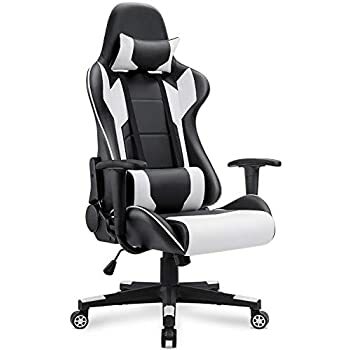 It looks plush in the pictures, and many of the reviews you'll read will tell you it is, but either they got a different seat than I did, or they're used to sitting in torture devices and this feels great by comparison. 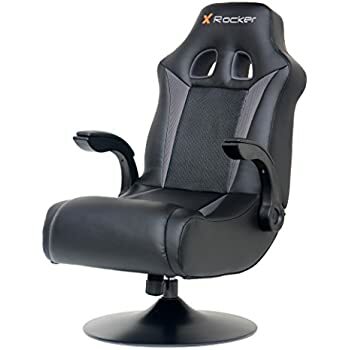 It's stiff, awkward, leans slightly to the left (this is starting to sound like a personal problem, but I'm still talking about the chair for the record), and doesn't let you lean back much at all. I'm 6'2" at 210, so while I'm not a small guy, I honestly couldn't imagine smaller people having that much better an experience than me. 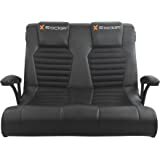 That being said, I can't recommend this as a chair, but it's a great stereo! The speakers are more than adequate, but in my opinion, aren't enough to save this from being a firm pass. 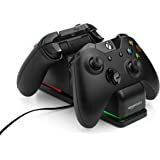 The vibration feature is pointless, and really only functions as an annoyance, as it brings nothing in terms of elevating the gaming experience. You're better off cranking the bass up and letting that be the source of the "feel". 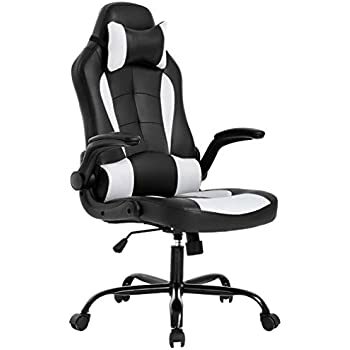 It's not a horrible product, but I can't honestly say this is a great chair. 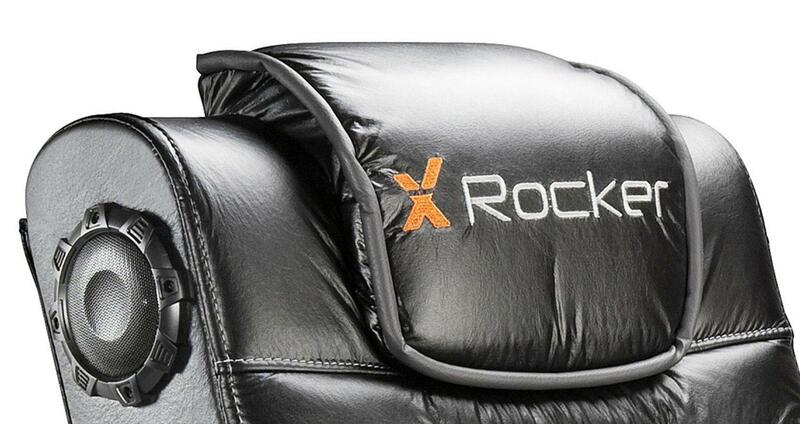 You might be better off getting a nice, oversized beanbag chair and a pair of Bluetooth speakers. Hope this helps someone. 1.0 out of 5 starsDeilvered Late, Finally Arrives With Pieces MISSING!!! 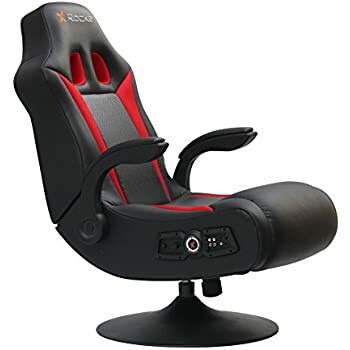 5.0 out of 5 starsA Must Have For Gamers! The X Rocker 51396 ROCKS! Okay, I'll admit I'm old but I've been playing video games before most of you were born. Right now I'm playing Uncharted 4. 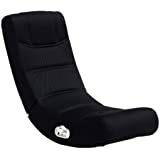 I am also really picky but I was really impressed when I received this chair. The packaging was phenomenal. 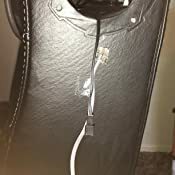 The chair was in perfect condition. It was also very easy to assemble. All the parts were there. The directions were 6 steps. Although, I took my time, it shouldn't take much more than 15 minutes to put together. 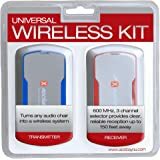 I used the wireless TX box that comes with the unit. 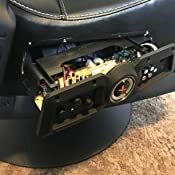 It uses two AAA batteries that DO NOT come with the chair. My PS4 is HDMI only & I thought it would be complicated reading the directions. Thought I was going to have to get a converter. 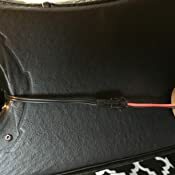 After putting the two batteries in the TX box, I plugged the green cable into the wireless device which had a audio cable (red & white) at the other end (this also comes in the package), plugged the red & white cable in the Audio OUT on my HD TV and it was time to get rocking. You can feel Drake when he walks, talks & shoots enemies. WOW! it's almost like you're in the game. If they're any negatives about this chair, even though it is of great quality it's not real leather but then again if it was it would have cost a lot more. Hope this review is helpful to everyone. WHAT THEY DON'T TELL YOU: the arms are not built to bear any weight. The instructions tell you not to lean on the arms or move/lift the chair using the arms or they will break. The chair is very uncomfortable. 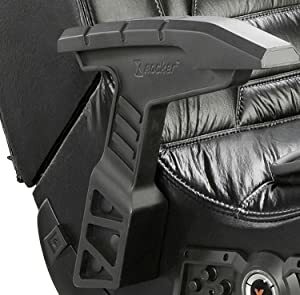 Zero lower back support. There is a rod of some sort that will hurt your thighs after about 15 minutes. 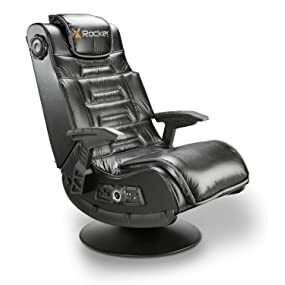 It barely reclines. Don't waste your money.